DAT are immensely proud to reissue their first original creation, "The Juggeling Alchemists Under The Black Light" album, including rare and unreleased tracks the band produced between 1993 and 1995. Released into a triple deluxe Digipak, it features a 16 page booklet with the history of the Etnica group. It is a stellar edition and a real collector’s item for whoever wants to own the first and incredibly beautiful album of the Italian Maestros. 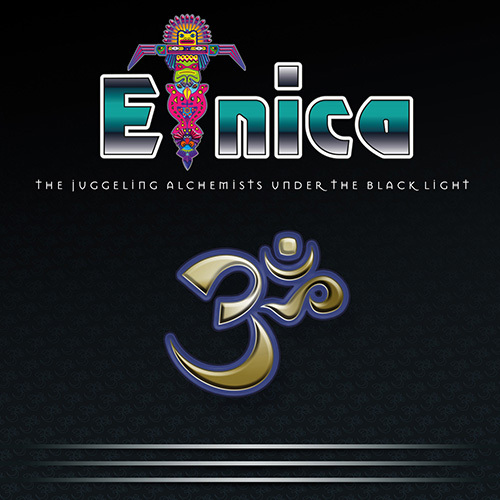 The Juggeling Alchemists Under The Black Light is Etnica's first album, a seminal release in the history of Goa Trance music. It was first released in 1995 and has been sold out for a very long time now, so DAT Records searched the archives of the band and found some incredible tracks from the era which had never been released, including some very early demos and test tracks that the band has kept for all this time, since its inception and their first productions of 1993. This spectacular triple digipak will satisfy every fan of the band, and the music contained is really floating, magical, and very special. It also includes many trance and proto goa tracks that will be loved by everyone who danced in the 90s but will also be very appealing to the new generation, since every track has now been mastered for this epic release. We do hope you will support the hard work behind this release that took over 2 years to prepare for release. It is with great pleasure that we want you to once again dance and trance to the magical music of Etnica. Prepare for a tribal trip, you'll be teleported to a jungle of sounds and feel the mystical vibes of this marvellous album wrap all around you!